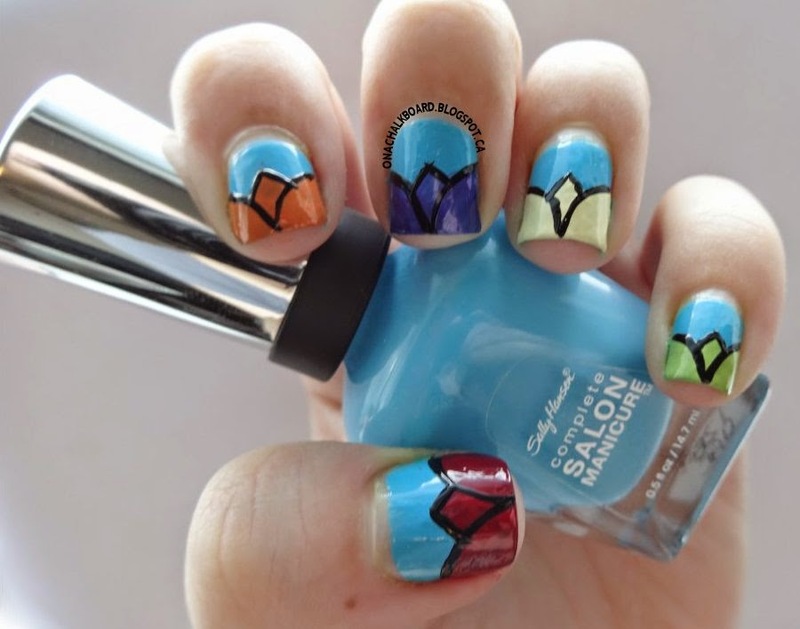 With the snow melting, slowly but surely, nothing gets me in the spring mood like a bright colorful spring themed-mani. Here is an easy to follow tutorial, to help you achieve the floral nails pictured below. 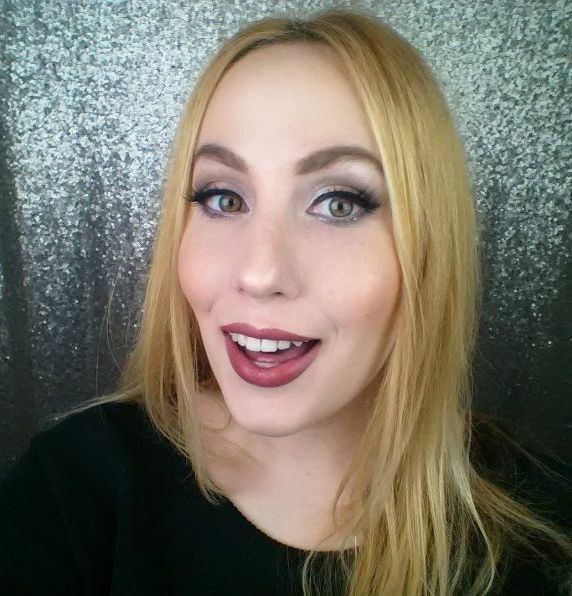 Let’s get to that tutorial! 1) What you will need (and what I used): A blue (Sally Hansen, Complete Salon Manicure in “Himalayan Blue”), a purple (Sally Hansen, Xtreme Wear in “Deep Purple”), a green (Sally Hansen, Xtreme Wear in “Green With Envy”), an orange (Sally Hansen, Xtreme Wear in “Sun Kissed”), a red (Sally Hansen, Hard As Nails in “Tough Love”), a yellow (Revlon Colorstay in “Buttercup”), and a black striper. 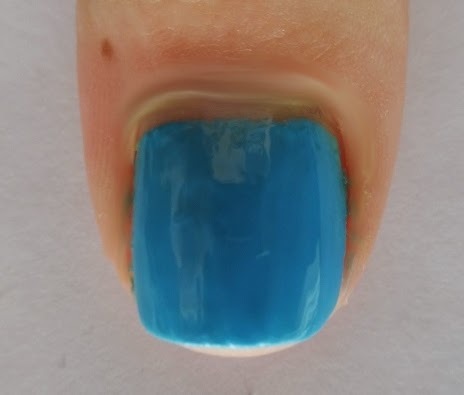 2) Paint a solid blue base. 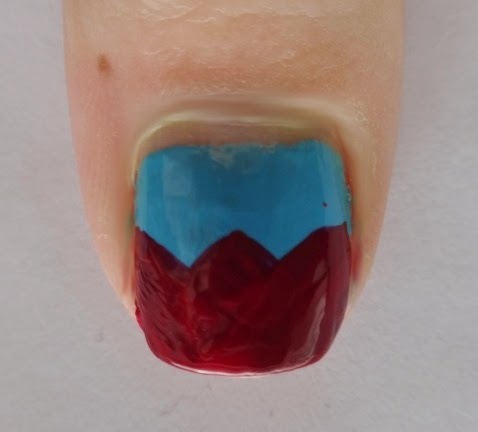 3) Pick the color of the flower you are using (I used red for this tutorial), lay your brush flat, and paint a curved, but diagonal line, from just above the halfway point on the side of your nail to the center on the tip of the nail. 4) Repeat step 3, but on the opposite side (The 2 curved parts should overlap at the base). 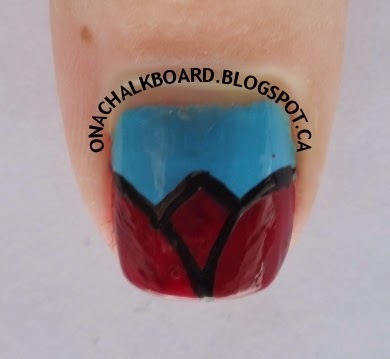 5) Using the same red, paint a little diamond shape, joining the 2 curves that were just painted. 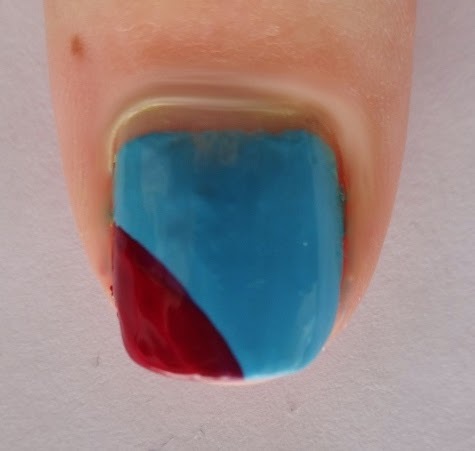 6) Using your black striper, trace a curved “V” shape, and then paint a little upside down “v”, creating a divide on top of where the red and the blue meet. 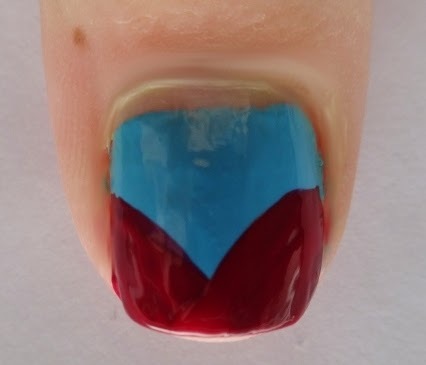 7) Repeat all the steps on the rest of your nails with different colors, and voila! That’s all for today – if you have any tutorial requests or suggestions, please let me know. Until next time, don’t forget to ‘treat yo’ self’ to a mani!